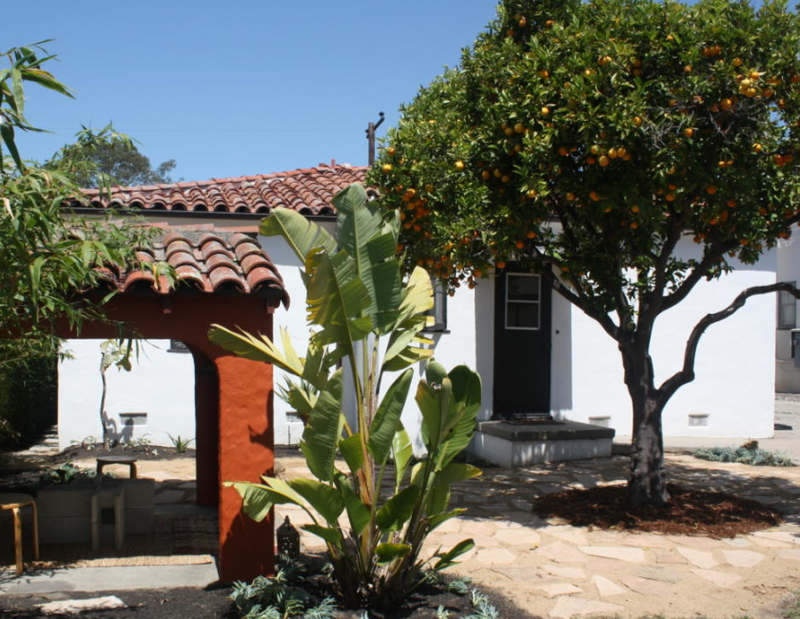 Eliciting memories of old Santa Barbara, the Lower Eastside neighborhood is a vibrant area on the east end of town near Milpas Street, and with regard to real estate it is characterized by older cottages, many of them Spanish style homes. This is where noted architect Alex d’Alfonso designed and built many of his earliest, signature-style homes – Spanish styling, two bedroom homes for the most part – from around 1920 to 1940. Also in the mix are some very popular d’Alfonso homes on historic Diana Lane / Diana Road loop, where he built the first housing tract after WWII, using mainly repurposed materials from buildings being dismantled in other areas of town. The Lower East neighborhood has smaller lots and smaller homes than many areas of Santa Barbara, a peppering of newer condominiums and larger properties with two or three residences, and also some of the lowest prices in town. Prices range from around $500,000 to $1.5 million. This neighborhood is also fairly close to the beach, no farther than about 1.5 miles from any home. Businesses and public venues along the Milpas corridor begin with the Santa Barbara County Bowl on the west end of the neighborhood, and feature a number of small businesses and restaurants (most popular perhaps are Los Agaves, the renowned La Superica, Your Place Thai), and popular grocery stores — Fresh Market, Trader Joes, and Tri-County Produce. Taking Milpas Street all the way to the beach brings you to East Beach and some beach-area hotels, Andree Clarke Bird Refuge, and the Santa Barbara Zoo. Here are a few samples of homes recently on the market in the Lower Eastside neighborhood.